and potential at each electrodes. change between the object and the reference background. 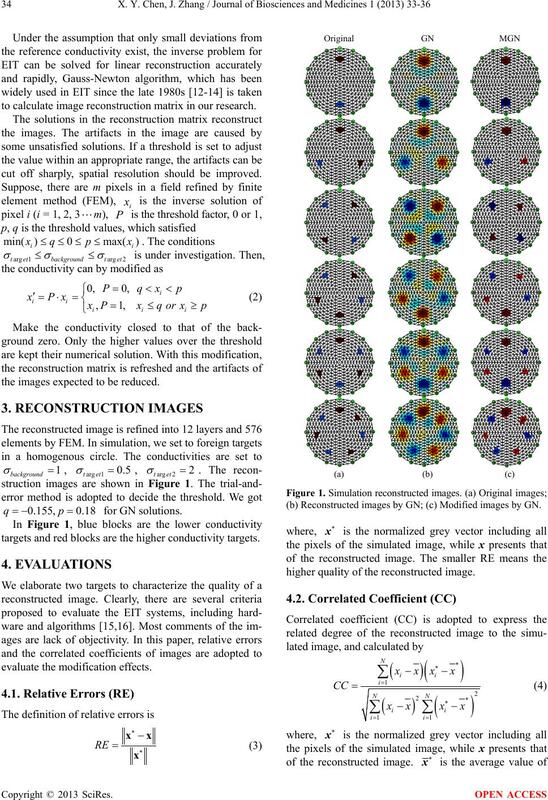 to calculate image reconstruction matrix in our research. cut off sharply, spatial resolution should be improved. the images expected to be reduced. targets and red blocks are the higher conductivity targets. (b) Reconstructed images by GN; (c) Modified images by GN . higher quality of the reconstructed image. 1, the reconstructed image is similar to the fact closely. modified images are more close to the true distribution. by GN is about 11.71%. 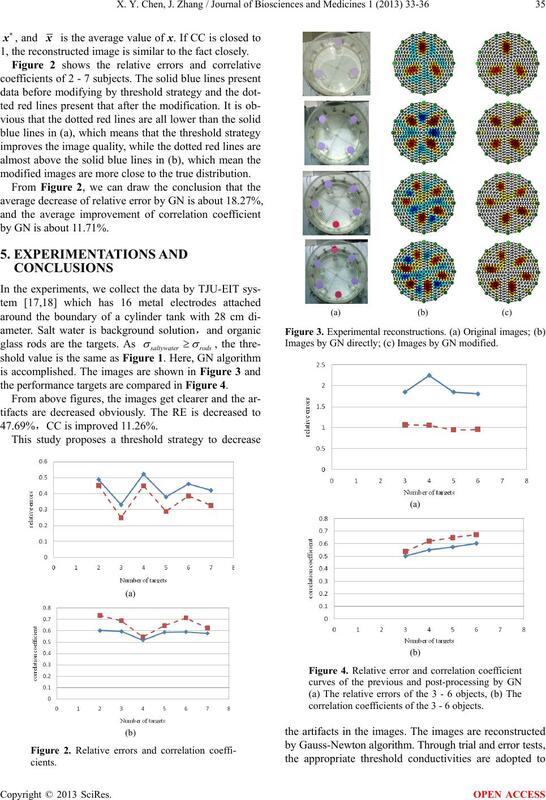 the performance targets are compared in Figure 4. Images by GN dire ctly; (c) Images by GN modified. correlation coefficients of the 3 - 6 objects. 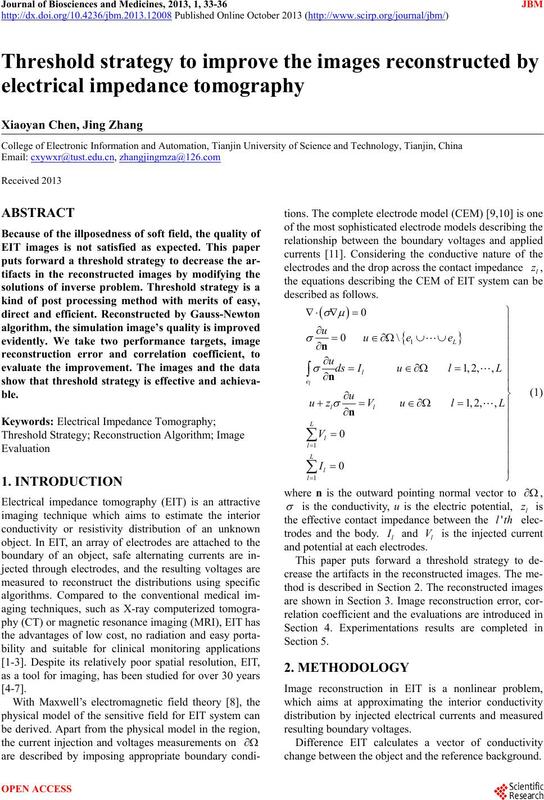 tribution in improving EIT images. lungs-maturational changes in lung resisitivity spectra. 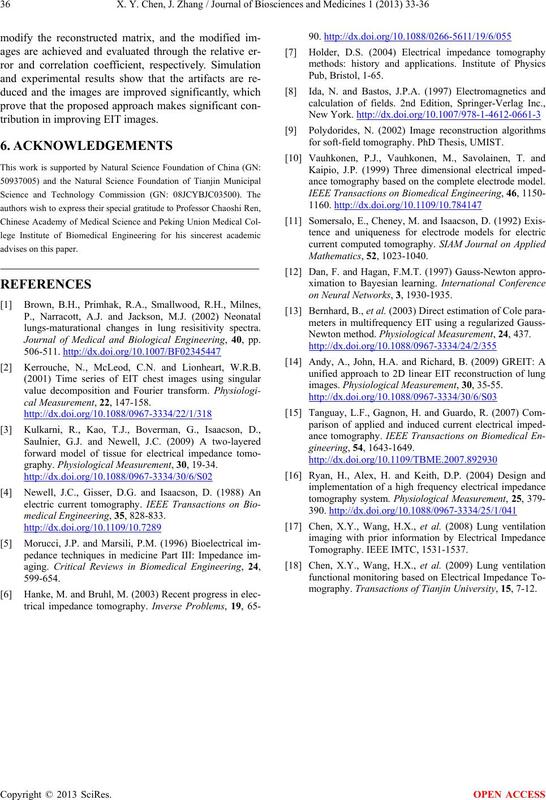 Journal of Medical and Biological Engineering, 40, pp. Kerrouche, N., McLeod, C.N. and Lionheart, W.R.B. graphy. Physiological Measurement, 30, 19-34.
for soft-field tomography. PhD Thesis, UMIST. ance tomography based on the complete electrode model. on Neural Networks, 3, 1930-1935. Newton method. Physiological Measurement, 24, 437.
images. Physiological Measurement, 30, 35-55.
mography. Transactions of Tianjin University, 15, 7-12.